Acne inversa or hidradenitis suppurativa (HS) affects up four percent of the population. It’s a debilitating, painful & chronic inflammatory skin condition, which usually develops in areas such as the groin, underarms, buttocks, breasts, and upper thighs. The condition isn’t contagious and is often more common in African Americans, women, and people having a history of acne. 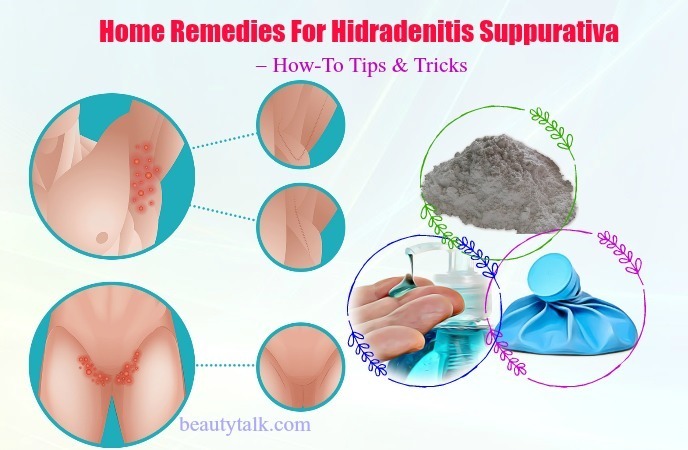 Although there is no potential cure for the hidradenitis suppurativa problem, you can opt for some measures to facilitate wound healing, soothe pain, and prevent new lumps from forming. But see a doctor right away if the lesions in the skin seem infected. 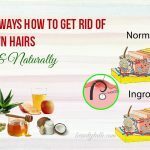 In mild to moderate cases, you can use some simple natural treatments to keep this problem under control. 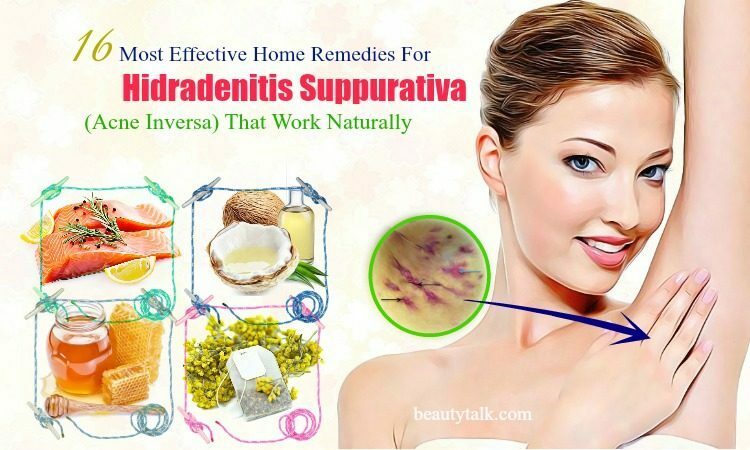 In this article, Beauty Talk will list out some of the most effective home remedies for hidradenitis suppurativa that work naturally. These remedies can be lower in risks, cost, and side effects. 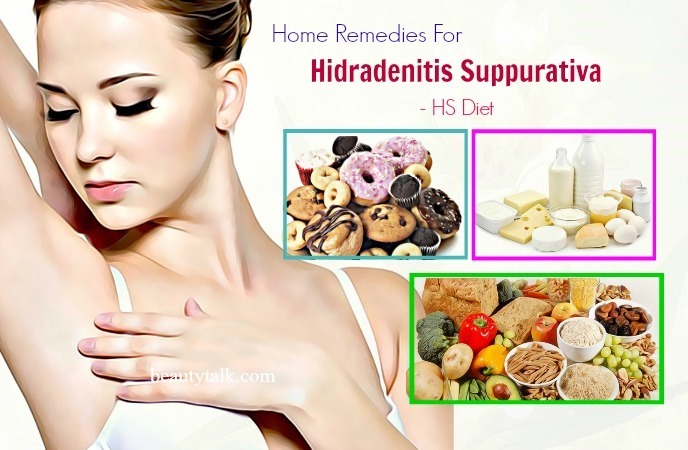 Here are the best home remedies for hidradenitis suppurativa that not only treat this condition but also alleviate the discomfort and pain coming with it. Tea tree oil contains antibacterial, anti-inflammatory, antiseptic, and antiviral qualities, which can potentially treat the problem of hidradenitis suppurativa successfully. Besides, its antibacterial properties aid in removing the infection and reducing the foul pus smell. Also, it can eliminate swelling, calm the pain and encourage healing of the wounds. Just combine the tea tree oil in coconut oil and afterward, apply the oil mixture to your affected area. Rinse it off after roughly 15 minutes with lukewarm water. Lastly, use a clean, soft towel to pat dry the area. Repeat two or three times daily to heal the hidradenitis suppurativa within a week. Direct application of tea tree oil can sting a bit because it’s available in concentrated form. Thus, before using it, mix in a carrier oil. Never apply this oil directly on open wounds. Turmeric can be perfect for treating hidradenitis suppurativa naturally thanks to its antibacterial abilities. Plus, the curcumin housed in this spice consists of an antiseptic and anti-inflammatory agent. 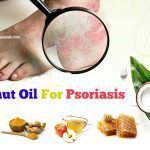 Besides, its antiseptic can heal lesions and bumps on the skin fast while its anti-inflammatory can relieve pain, swelling along with other symptoms of hidradenitis suppurativa. Mix the turmeric powder with some coconut oil or olive oil to create a paste. Then, apply this paste directly on the wounds, sacs, and lesions. Keep it on for thirty minutes and wash it off. For quick relief, do the process once or twice every day for a couple of weeks. Mix all the elements into one glass of lukewarm water. Then, consume it 2 to 3 times per day. Pour one cup of water into a saucepan and add the turmeric root powder to it. Bring the mixture to a boil and leave it to simmer for roughly 5 minutes. After that, collect this solution and let it cool down. Start applying the turmeric paste to your hidradenitis suppurativa lump and wait for 30 minutes before washing it off. Follow this remedy thrice in a day. Turmeric is possibly safe when applied to the skin or taken by mouth appropriately for up to eight months. However, it’s likely unsafe during pregnancy when taken by mouth in medicinal quantities. Aloe vera is a well-known ingredient for skin care and for treating many skin disorders including hidradenitis suppurativa. It exhibits the soothing properties that help to decrease irritation caused due to HS lumps. It also comes with anti-inflammatory and antimicrobial qualities that can lower the inflammation of HS and eliminate any infection. Apart from that, the enzymes in it can help regenerate healthy skin cells. 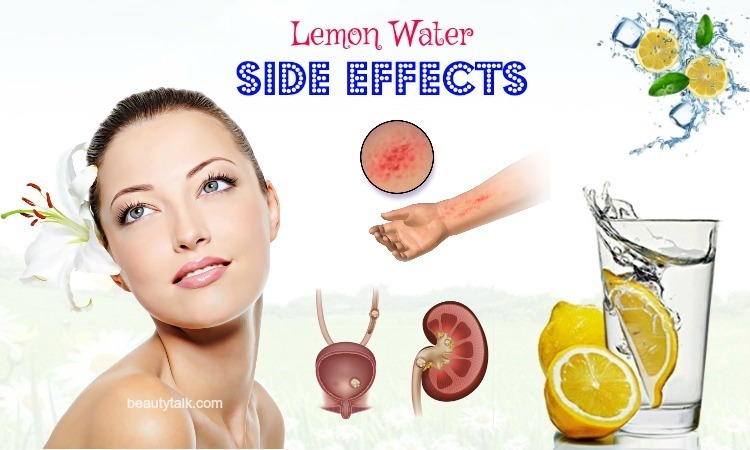 Moreover, its topical application can help you eliminate pain and lessen the size of lumps. Cut the aloe vera leaf open at first and later take out its gel. Keep this gel in a refrigerator for ten minutes and after that, apply it to your problem regions. Keep the application on for twenty minutes and rinse with lukewarm water. Redo this remedy twice per day to cure HS. Aloe vera gel may lead to burning sensations in the abraded skin, and itching and redness also can occur. Apple cider vinegar can eliminate bacteria causing HS owing to its antibacterial agents. Plus, the acidic behavior of ACV makes it difficult for bacteria to live. 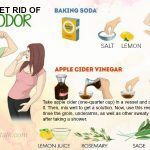 Besides, topical uses of ACV can be helpful for reducing inflammation of the skin and dispersing clotted blood under your skin. Last but not least, ACV is ideal for fighting skin ailments such as toenail fungus, acne, warts, and shingles. Firstly, rinse the affected skin with lukewarm water. Next, soak the cotton ball in the apple cider vinegar and then, apply it directly over the lump. Leave the application on for around 30 minutes. Try this remedy twice per day to ultimately treat the hidradenitis suppurativa. When taken in large amounts, ACV can lead to aching, stomach cramping, and diarrhea. However, it is likely safe when applied to the skin. Topical uses of tea bag are beneficial for reducing swelling and alleviating pain. Green tea can rid the body of toxins owing to its antioxidant. It also aids in digestion and helps stomach aches. It further consists of anti-inflammatory properties that can assist you in removing the lumps on the skin caused by hidradenitis suppurativa. Put the tea bags in the boiling water. After five minutes, remove the excess water from the tea bag. Then, rinse the wound by using lukewarm water. Afterward, open these soaked bags and collect their tea. Start spreading it on the painful lumps and keep it on for a couple of minutes. Follow this method 1 or 2 times every day to get rid of swelling. Tea is possibly safe when applied to the skin. Neem also called Indian Lilac is used for battling many skin issues including hidradenitis suppurativa. It’s beneficial for treating the condition and preventing infections from developing since it is flooded with antibacterial, antiseptic, and antimicrobial properties. Take the dried neem leaves and make a fine powder by using a mortar and pestle. Mix liberal quantities of water to create a paste and apply it on the problem areas. Let it dry for around 20 minutes and wash off with lukewarm water. Just mix the oil well and apply it to your affected region. Let it work for several minutes before rinsing it off. Redo it twice a day for several weeks. Neem is likely safe when using on the skin. 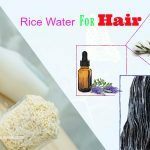 Rubbing alcohol comprises disinfectant, soothing and cooling abilities, which will help flush dirt out of the clogged hair follicles, thus promoting healing. Apart from that, it is helpful to relieve the discomfort and pain associated with HS. Firstly, soak the cotton swab in the rubbing alcohol. Later dab it on your affected area. Wash the area after thirty minutes with lukewarm water. Lastly, apply some aloe vera gel. For quick results, do the process twice daily. Before using rubbing alcohol, make sure you do not have any open wound or bump. When applied directly to the skin, honey works wonders in decreasing inflammation and accelerating the healing process. It additionally contains antibiotic properties, which make a fantastic treatment for HS. Also, it’s beneficial for soothing irritation and lowering swelling. The skin nourishing properties of honey help prevent scarring of tissues. Take some honey or Manuka honey and dip the cotton ball in it. Apply it generously on your affected skin. Keep it on for about 15-20 minutes before using lukewarm water to wash it off. For valid results, repeat the remedy three or four times per day. If your skin is oily, you’re at the risk of getting pimples, acne, and breakouts on the skin. So, if you own an oily skin, do a patch test before using honey. Oregano oil is useful for combating hidradenitis suppurativa naturally since it possesses antibacterial and anti-inflammatory abilities. Besides, it also reduces the symptoms of HS such as pain, irritation, and inflammation. Apart from that, it can destroy bacteria, calm irritated closed wounds, and inhibit the bacterial colonization under the skin. Firstly, take the oregano oil in the cotton ball and later apply it directly to your affected area. Keep it on for 15-20 minutes. Follow the procedure twice a day for visible results. In high doses, thymol present in oregano oil is a mild irritant that might affect the internal organs and skin. It can cause vomiting, gastric distress, nausea, and central hyperactivity. This oil should never be used near or on the eyes or applied to broken skin. Coconut oil has the skin nourishing abilities that are perfect for curing the hidradenitis suppurativa symptoms. Besides, it prevents the bacteria from replicating, thus reducing the size of the lump. Moreover, it consists of an active compound named lauric acid that is a natural antibiotic. Get some olive oil and start to apply a thin layer of the oil on your swollen skin. Wait for roughly 60 minutes or don’t remove it if possible. You should use this magical oil every day to eliminate the discomfort. 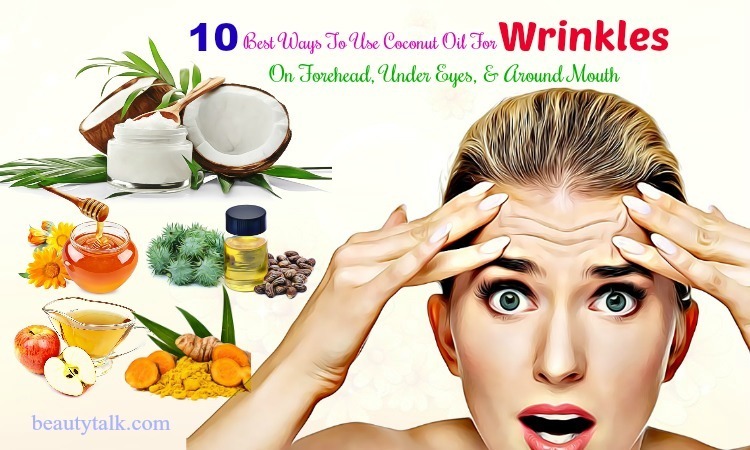 Applying coconut oil to the skin may not have any side effect. Basically, warm compress will aid in easing your irritated skin and lowering the pain associated with HS. Moreover, it is helpful to soothe the swelling. For this treatment, use hot water to fill a glass bottle and wrap it in one thin, dry towel. After that, gently hold this compress against your affected area for ten minutes. Redo it a few times per day as needed. Don’t use wet compresses because they can worsen the condition. If the pus is draining out and bumps have ruptured don’t use a hot compress. If you’re pregnant or suffer from poor circulation, diabetes or high blood pressure, avoid using warm compresses. The antibacterial soap is perfect for cleansing the skin and killing the bacteria causing HS. For this remedy, you can use Hibiclens liquid skin cleanser. Firstly, cleans your skin by using an antibacterial skin cleanser. Use it to cleanse the skin two times a day. 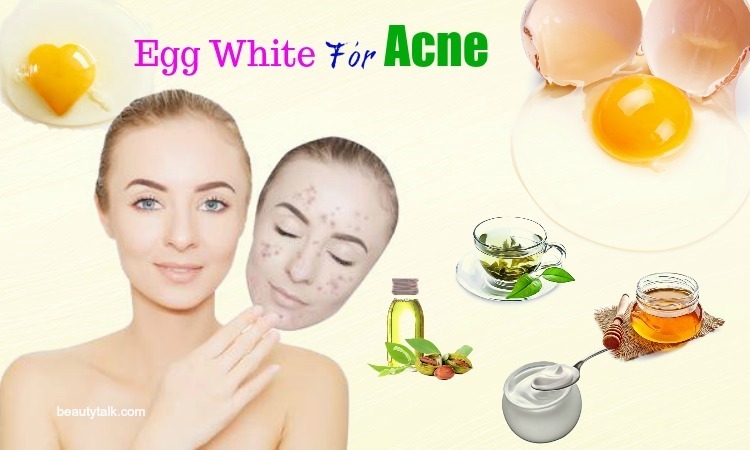 Follow this simple way for one week to completely treat the acne inversa. Zinc oxide can manage acne inversa since it embraces anti-inflammatory and antioxidant agents. Along with that, it helps to draw the infection out. For this purpose, apply some zinc oxide cream on your inflamed skin and gently massage it. You needn’t wash it off. It’s best to repeat the method twice daily. Both women and men suffer from hidradenitis suppurativa. About 50 % of hidradenitis suppurativa patients will have undergone severe acne in the past. HS is more severe in those who are obese or overweight, but thin people also get it. HS happens in places you would not expect acne. Women and people between the ages of 13 & 40 are more prone to develop hidradenitis suppurativa. Inflammation caused due to HS can progress into lesions draining foul-smelling pus and slowing the wound healing process. While there is no cure for HS, inflammation can be curbed through different treatments, including anti-inflammatory drugs, careful washing, and antibiotics. However, nearly 1/4 of people suffering from HS can’t find a treatment that is effective in relieving irritation and pain. The most severe cases of HS can be treated by using surgery. However, this surgery won’t prevent the inflammations from happening in other regions of the body. a. Who Gets Hidradenitis Suppurativa? Hidradenitis suppurativa is three times more prone to affect women than men. If your immunity overreacts to the clogged hair follicle, HS could happen to you. Other factors contributing to HS include being obese or overweight, genetics, smoking and taking lithium. b. How Is HS Diagnosed? Diagnosing HS is a fairly straightforward procedure. A dermatologist will examine the skin and may ask you a few questions. Sometimes, your doctor can perform a blood test once diagnosing the condition. c. How Is HS Treated? Surgery may be necessary for HS affecting deeper layers of the skin. The surgery will destroy hair follicles and help remove existing breakouts and inhibit future breakouts. Antibiotics, steroid injections, and acne treatments work in various ways to battle the problem. Your doctor can recommend biologics for more severe cases. Biologics are medications, which target your immunity’s response. 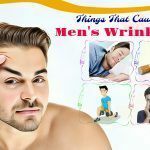 d. How To Prevent An Hidradenitis Suppurativa Flare-Up? Certain lifestyle changes can make your hidradenitis suppurativa less severe or prevent flare-ups. You can do some things such as losing weight, wearing loose-fitting clothes, or discussing your antiperspirant with your dermatologist, etc. If you experience pain or a breakout, make sure to consult a doctor. Apply heat to your affected area can help you get relief quickly. You can also create a warm compress. Immerse one clean washcloth in hot water and then place it on the skin for ten minutes. Luckily, there are many simple tips and tricks you can take to prevent further flare-ups of HS. Keep The Area Dry: You can inhibit further flare-ups by keeping your affected area dry. Moist areas will allow fungus and bacteria to grow. Maintain Proper Hygiene: Showering every day can help to rid the skin of dirt and bacteria. 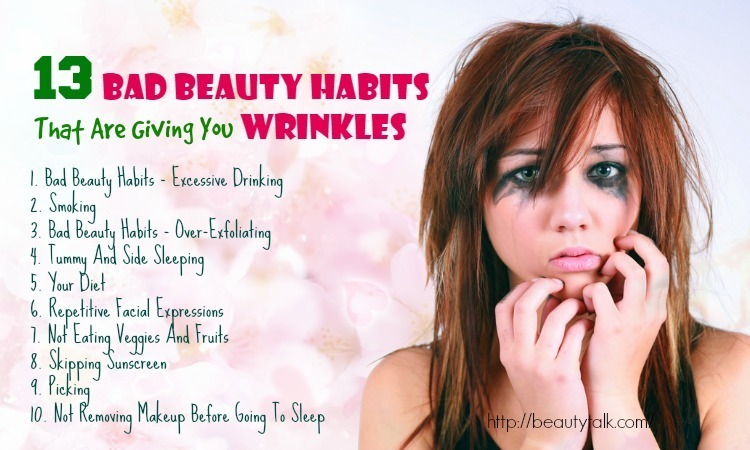 Use a noncomedogenic body wash or soap that will not clog pores. 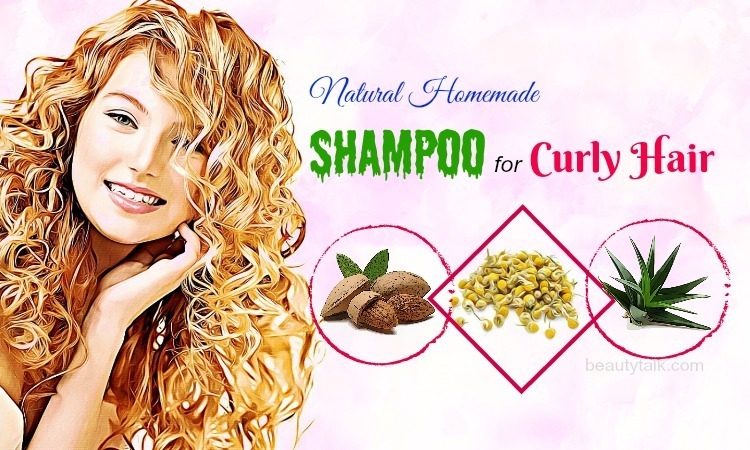 You can also opt for a conditioner and shampoo that does not have aggravating ingredients. Maintain A Healthy Weight: Maintaining a healthy weight may help lower instances of HS because it decreases the number of areas in which the skin rubs together. Stop Smoking: Smoking is not good for the overall health and is also strongly related to HS outbreaks. Smoking can make HS more severe. Avoiding smoking can help decrease flare-ups. Wear Loose Cotton Clothing: Loose cotton clothing does not hold moisture, and will not rub against the skin and aggravate it. It’ll be helpful to keep the skin dry, clean, and bacteria-free. Shave Armpits: Shaving the hair on the public area and underarms can aid in preventing future flare-ups. However, during a flare-up, don’t shave because it irritates the area further. Weight gain or obesity can cause or worsen hidradenitis suppurativa. It is also related to hormone changes and inflammation. 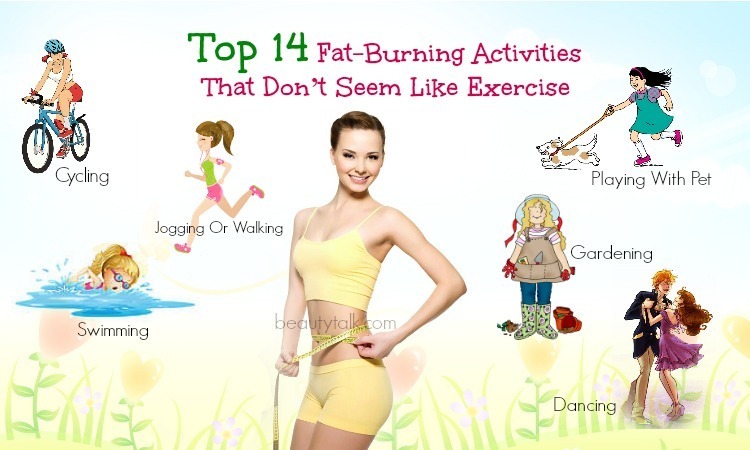 Plenty of exercises, a balanced diet, and other lifestyle changes may help you obtain a healthy weight. Besides, the foods you eat impact flare-ups of HS. Certain foods can help balance hormones and reduce skin inflammation. Foods high in fiber can be beneficial for balancing hormone and blood sugar levels. Plus, fiber helps you feel full quickly and decreases unhealthy food cravings. 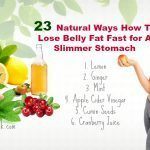 As a result, it enables you to maintain a healthy weight. You should replace sugary carbohydrates with complex carbohydrates and whole foods such as fresh and dried herbs, fresh and frozen vegetables, lentils, beans, brown rice, barley, frozen, fresh, and dried fruit, whole wheat bread, oats, bran, etc. Foods rich in omega-3 fatty acids can help to decrease inflammation in the body, which in turn prevent or calm the inflamed sores. You should try adding omega-3 fatty acids to your daily diet by eating walnuts, salmon, sardines, olive oil, avocados, pumpkin seeds, Chia seeds, and flaxseed oil. Zinc is a crucial nutrient that helps your immunity and manages the problem of HS. It can be helpful for controlling inflammatory skin reactions. Oysters, crab, poultry, lobsters, and red meat are rich sources of zinc. Also, you can take zinc supplements after checking with a doctor. Milk together with other dairy products may lift the certain hormone levels that head to HS symptoms. Plus, cow’s milk can also result in inflammation. According to clinical research, it is best to stay away from all dairy products to help inhibit flare-ups. You should avoid products such as cow’s milk, cheese, buttermilk, cream cheese, cottage cheese, yogurt, and butter. According to a small medical study, brewer’s yeast can be a trigger for HS. This may occur because this yeast leads to a reaction in your immunity. Check the food labels and stay away from anything that may consist of this ingredient: beer, wine, some soy sauces, fermented spreads, some bread, pizza and cakes, some salad dressings, etc. Sugary foods and simple carbs can lead to a blood glucose spike that can trigger inflammation and result in symptoms of HS. Avoid simple carbohydrates along with foods that are rich in sugars: corn syrup, noodles, high fructose corn syrup, table sugar, boxed cereals, biscuits and cookies, white flour, potato chips, candy, protein bars, chocolate bars, etc. 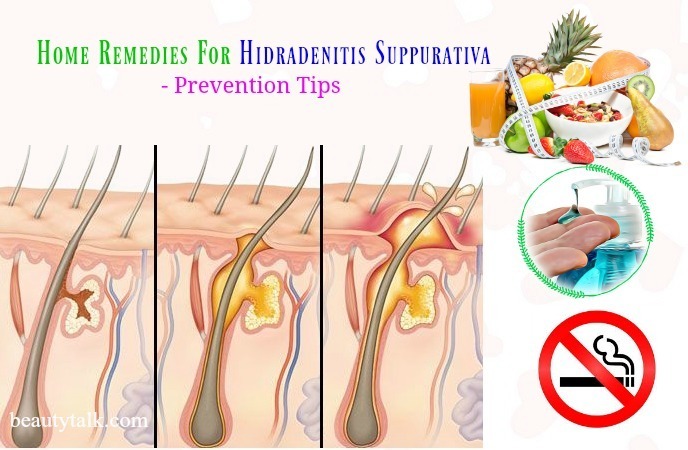 The above mentioned home remedies will help you deal with hidradenitis suppurativa quickly. When suffering from this condition, follow these solutions regularly without fail to achieve the desired results. 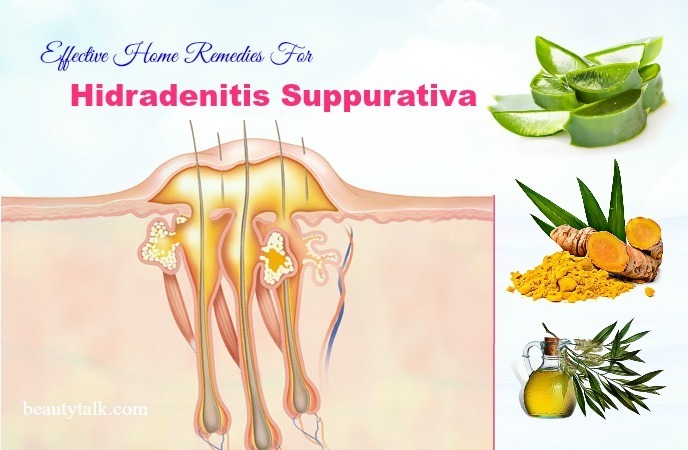 If you know other effective home remedies for hidradenitis suppurativa (acne inversa) that work naturally, then share with us. All of the contents provided in this article are for informational & educational purposes. We recommend you consult a healthcare professional to determine which method is appropriate for you.